This article is about using Storypark on a computer. Learn how to invite family members through the new Storypark for Families app here. You can download the iOS app or the Android app now and learn more on the Storypark for Families help centre. There are various ways to share and communicate with your child’s learning community, ie. the teachers, family members and specialists to whom you’ve granted access. 1. 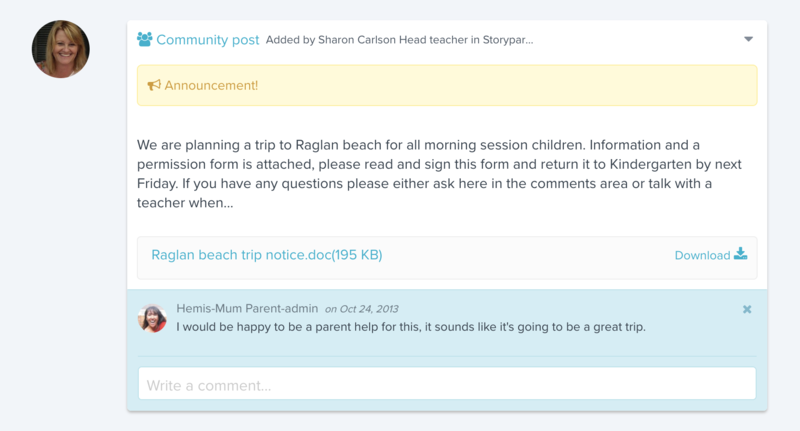 Start a private conversation with a teacher by clicking the 'Conversation' button in the blue navigation bar. 2. Participate in community discussions with teachers and other parents at your child’s early learning service. 3. 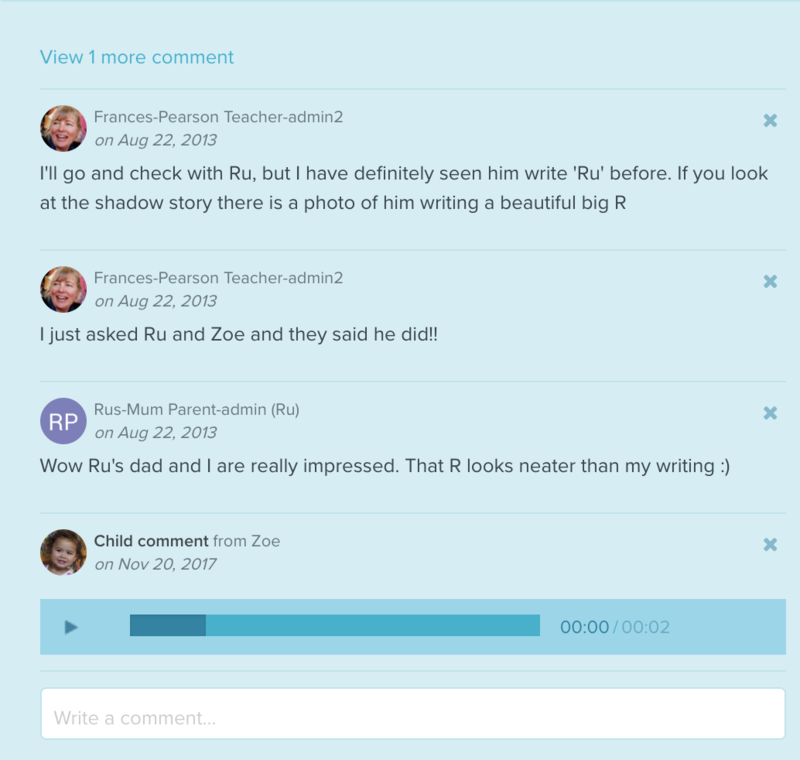 Comment on stories written by your other people in your child’s learning community. Comments can often evolve into conversations and offline communication. 4. 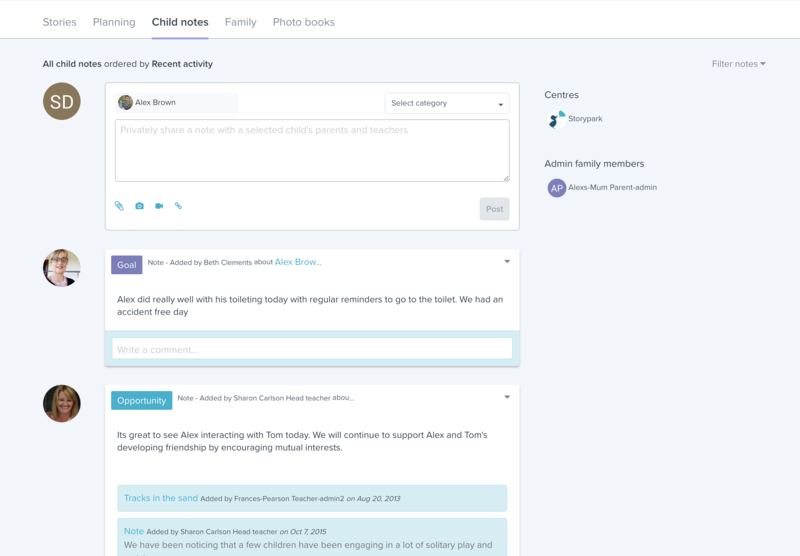 Add your own stories and moments about your child to keep family and teachers up to date with the interests, learning and events happening at home. 5. 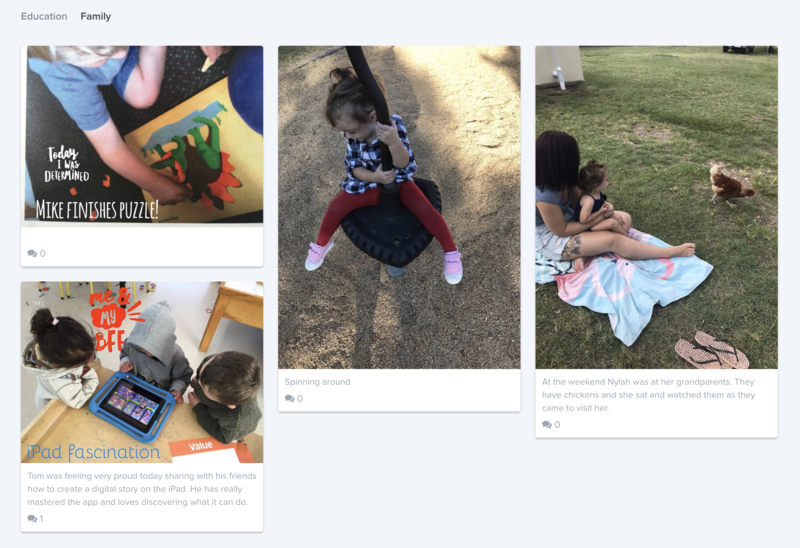 Communicate directly and privately with teachers using child notes. 6. Invite specialists (ie. 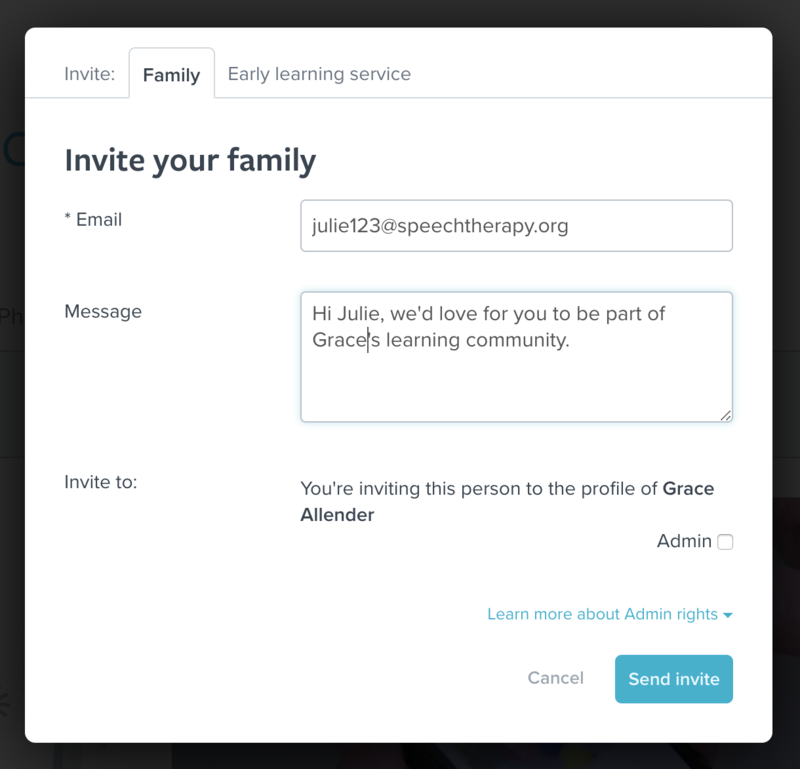 speech language therapists, teacher aides or other experts) to your child’s profile. Learn how here, ‘Invite or remove family or specialists’.